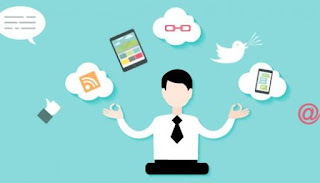 Home / digital marketing / digital strategy / Marketing / Have You Found Your Digital Nirvana? Have You Found Your Digital Nirvana? When prince Siddhartha walked out of that royal mansion in Kapilvastu, in search of inner peace and a path to Nirvana, there were many teachers and schools of thoughts in ancient India about finding the noble path to Nirvana. Each teacher had their own way of defining Nirvana, and they practiced different rituals as methods of getting there. Siddhartha explored all these alternate paths and realized most of those schools of thoughts about Nirvana were flawed in one way or another. He then realized finding his own path to Nirvana was the solution. He eventually found the path he was looking for as he enlightened to be the Gautama Buddha, and became the founder of the world’s oldest religion based on a philosophy preached by a human being. Today, the field of Digital Marketing for me is somewhat similar to what it looked like in 600 BC India where many false thoughts and rituals about path to Nirvana was embraced as the absolute truth. Today we see similar confusion among people about what ‘Digital’ can do for their business, although hardly most these people understand a difference between ‘Social’ and ‘Digital’. In all honesty, I believe the phrase ‘Digital Marketing’ itself is flawed. Long before the traditional admen created the word ‘digital marketing/media’ to categorize all the things that they don’t understand and put them into one basket, we used to call this ‘e-Marketing’ or simply ‘internet marketing’. There again we had so many confusions. For some people, e-Marketing was electronic marketing, while for others it was email marketing. There is no better example to show how confused the marketing fraternity is about the definitions of these words than how veteran Digital Marketing guru Dave Chaffey explains how he changed the titles of his famous text books on Digital Marketing. Now that the term ‘Digital Marketing’ is accepted as a legit sub-discipline in Marketing (Well, CIM offers courses in Digital Marketing, so there’s no reason to doubt it) let’s try to understand how it differs from Marketing. The official definition of Marketing according to The Chartered Institute of Marketing (CIM) is: “Marketing is the management process responsible for identifying, anticipating and satisfying customer requirements profitably.” (I love this definition! It’s the best definition of Marketing for me). Now the question is how digital marketing differs from marketing? Dave Chaffey in his book defines digital marketing as ‘achieving marketing objectives through applying digital technologies’. Perfect. In the end, it’s just about the application of a technology to achieve your marketing objectives. It was long time back (in 2003) when Nicholas Carr wrote to HBR that “IT Doesn’t Matter” in business anymore, so why do we believe that technology really does matter in marketing anymore? Yes, I use ‘Digital Marketing Professional’ as my LinkedIn title, but that’s just to differentiate myself as a personal brand among many other marketing professionals. But, prefixing ‘Digital’ to everything won’t necessarily help you to differentiate from your competition in your category, because there’s no competitive edge in using technology in business or in marketing anymore. I think it’s now the right time for people to stop thinking ‘Digital’ as a magic pill which solves all your marketing problems and focus more on improving the essence of your marketing strategy; that is to identify, anticipate and satisfy customer requirements in a profitable manner for your business. There’s no Nirvana in digital, so don’t waste your time finding an end in merely a means. Stop being over obsessed with a ‘digital strategy’, but broadly be in focus on your ‘marketing strategy’ and seize the opportunities you see emerging in these digital platforms around you. Originally posted on LinkedIn on this link. Please join the conversation on LinkedIn if you have opinions to share.